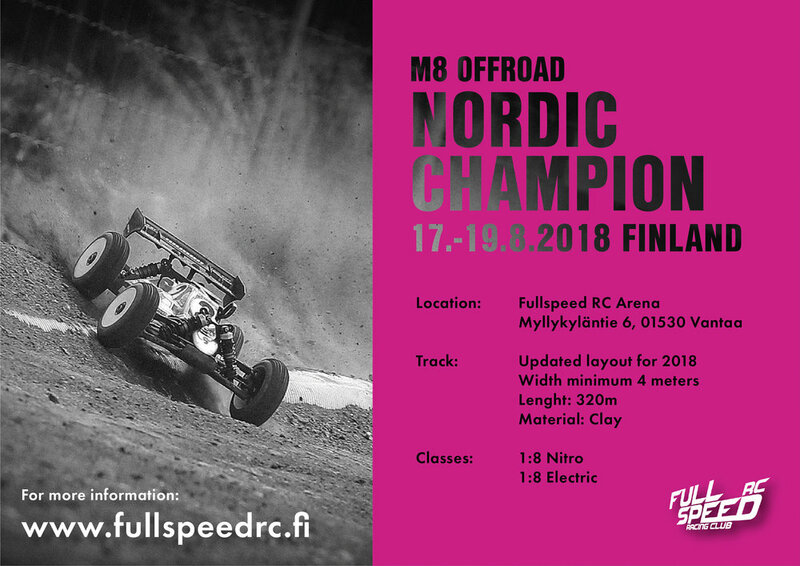 Fullspeed RC is proud to invite all 1:8 offroad drivers to Vantaa Lavanko Fullspeed RC Arena for Nordic Championships. Myrcm is open. You should include Transponder number, Name, Address, Date of birth, email, phone number, Club and Country. Limited amount of rental transponder will be available 5€ / day. At times it can be windy at the pit - please make sure you can secure your pit tent properly. Limited amount of covered pit area is available. Track is open for practice though summer - but will be closed for final preparations 13.8. Food and buffet will be available saturday and sunday.